2018 Tigers Milk Winter Classic gets off to a rainy start on World Oceans Day. 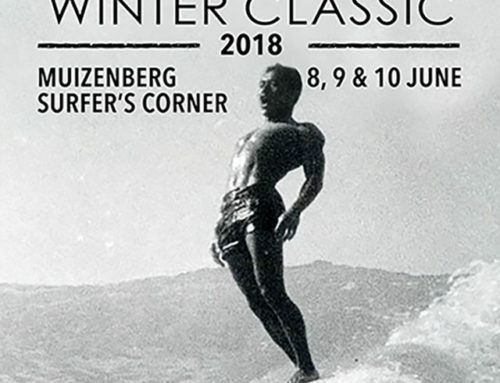 Typical two foot Muizenberg surf and a rainy morning greeted contestants as they competed in the early rounds of the 2018 Tigers Milk Winter Classic and celebrated World Oceans Day at Surfers Corner. 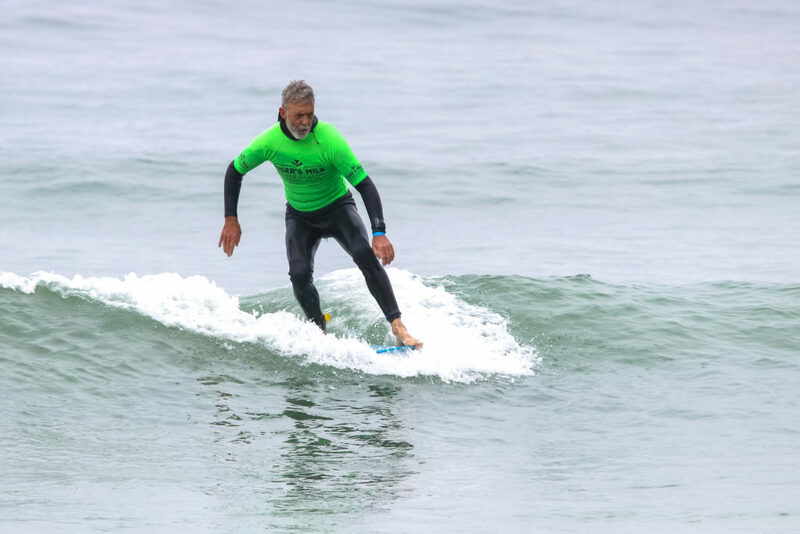 Despite the small waves there were some fine performances by a number of surfers in the first two rounds of the Men’s Surfing Division and in the first round of the Over 40 Longboard group. 2016 Tigers Milk Winter Classic Men’s Division winner Jordy Maree’s 16.38 points out of a possible 20 in the Men’s Surfing Quarter Final was the highest score of the day and the Kalk Bay local will now come up against Muizenberg local Craig Johnson, Joshe Faulkner of Jeffreys Bay and Daniel Farr of New Zealand in the first semi-final in this division. 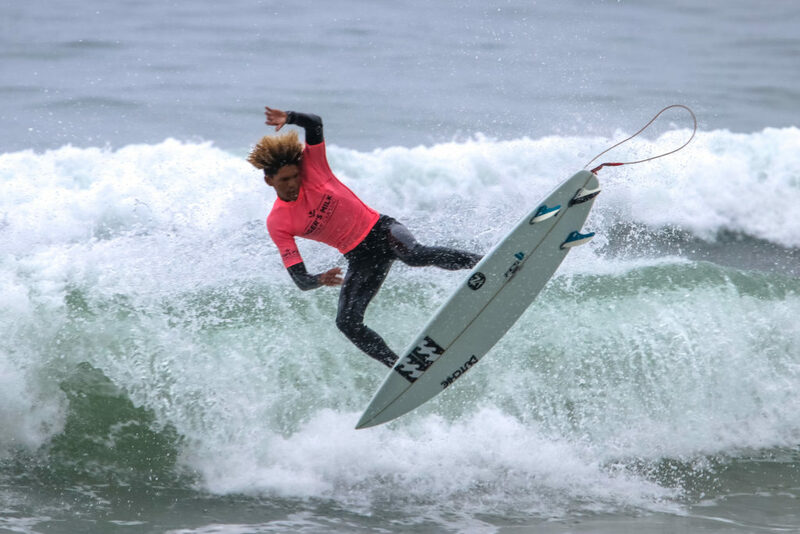 Adin Masencamp of the Strand was another standout surfer on the day and he, Richard Kidd of Ballito, Jerry Van Wyk of Jeffreys Bay and Jake Elkington of Kommetjie make up the second semi-final. 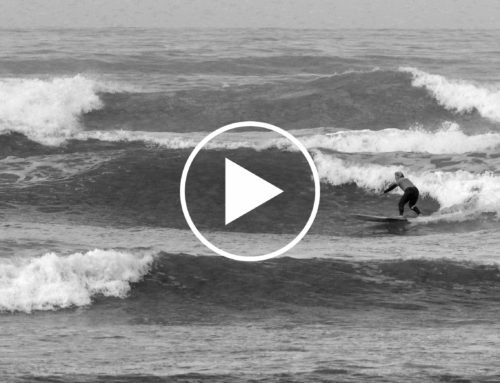 Durban visitor Grant Gilmour and Cape Town locals Mike Blignaut, Chris Poseman, Chris Heath and Alan Robb posted the top scores in Round One of the Over 40 Longboard Division and are through to the Quarter Finals of along with seven other competitors. Day Two of this unique three day event will feature get under way with the Women’s surfing and at around midday will feature the first rounds in the blue ribbon World Surf League Men’s and Women’s Longboard Divison. The contest gets under way at 8.30am and ends at around 4pm tomorrow and all the heat scores will not only be available on www.liveheats.com/surfingsouthafrica but live action in the water will also be streamed on www.streamit360.tv throughout the day and on Sunday. 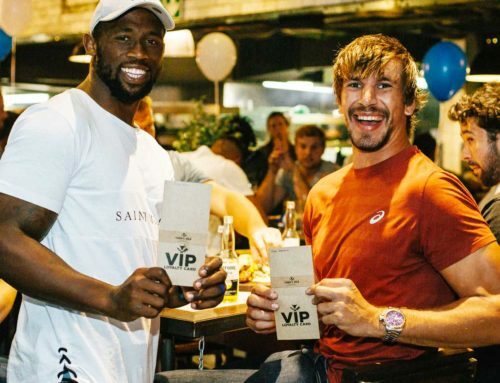 Tigers Milk Muizenberg will offer kids activities from midday to 4pm on tomorrow while and on Sunday the participants in the Outreach initiative will not only receive their awards in the restaurant but will get to enjoy a burger, chips and coke courtesy of Tigers Milk. 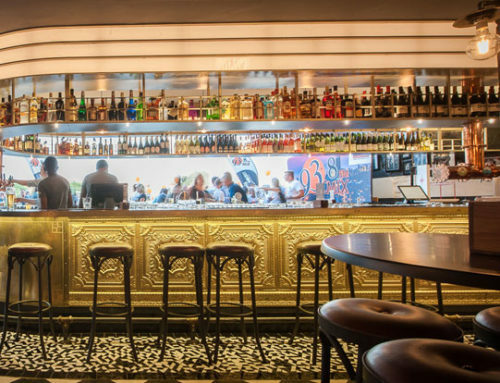 An additional incentive to come down to Surfers Corner to watch some top class surfing Tigers Milk is the offer of a Corona 2 for 1 price special between 4pm and 7pm tomorrow and on Sunday. 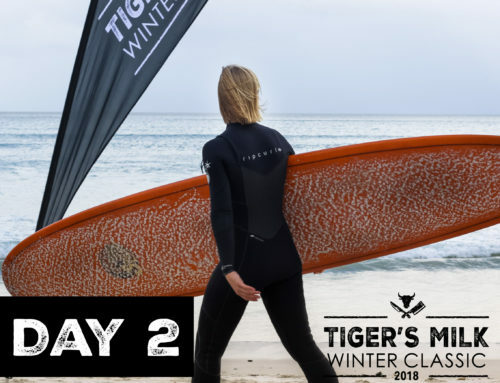 Buying two Jagermeisters in Tigers Milk on Saturday or Sunday, will put you in line to win a custom made surfboard while a Bacardi flavoured Mojito may win you an instant prize. A Stepchild Burger, Chips and Coke combo will be on special for R90 over the weekend.